◆ Save energy, low running costs, do not need complex water treatment equipment, save water resource, can alternative water heating boiler in water resource sub-shortage areas. ◆ Precise temperature control: stable heating, precise temperature adjustment, automation. ◆ High thermal efficiency: closed-cycle heating, no waste heat emission, load adaptability, can maintain optimum thermal efficiency under different conditions, high integrated thermal utilization efficiency. ◆ Safe and reliable: complete operating control and safety monitoring device. Heating system runs opening, high safety factor. ◆ High-temp and low pressure: can obtain a higher working temperature under lower operating pressure. 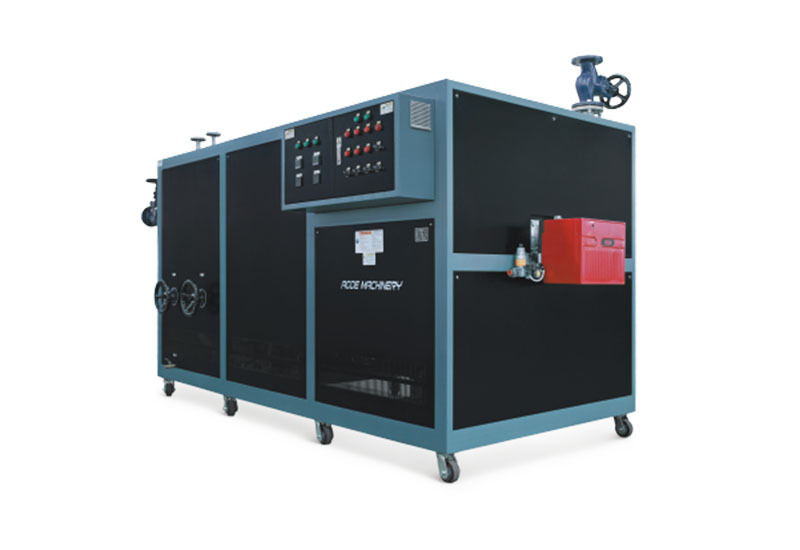 ◆ Well-known international brand burners and advanced automatic control system, the boiler combustion more stable, operation more convenient, safe and reliable. ◆ Furnace with double row pipe, heating surface is sufficient to reduce the heat load of the pipe surface, the heat-conducting oil use safe. ◆ Reasonable medium flow, thermal oil from the low (inlet) to high (outlet), generated gas can not stay in the furnace, the system can be easily discharged it. ◆ The furnace size matches with the burning flame, positive pressure combustion increase the radiation heat transfer efficiency.